On January 31, 2017 GLAAD (Gay & Lesbian Alliance Against Defamation) announced the nominees for the 28th Annual GLAAD Media Awards. 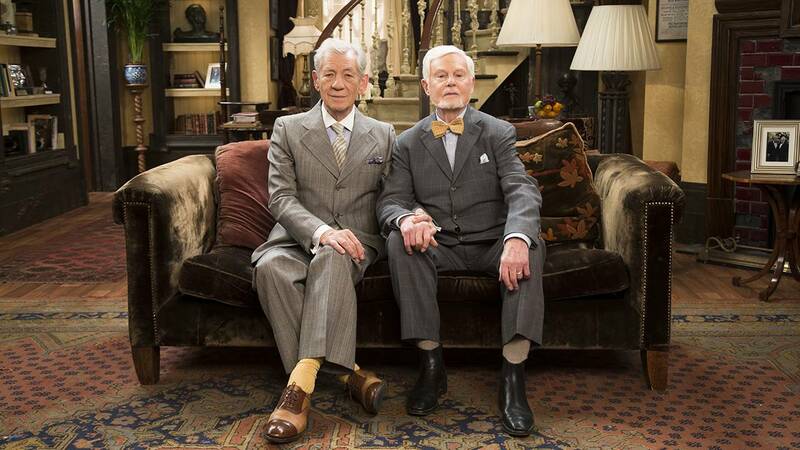 PBS is honored that the series finale of VICIOUS is nominated for Outstanding TV Movie or Limited Series, marking the series’ second GLAAD nomination. VICIOUS was nominated in the Outstanding Comedy Series category in 2016. As stated on their website, the GLAAD Media Awards recognize and honor media for their fair, accurate, and inclusive representations of the LGBTQ community and the issues that affect their lives. Gary Janetti (“Will & Grace,” “Family Guy”) is the creator, showrunner and executive producer of VICIOUS, which is also produced by Gary Reich (“How Not to Live Your Life” and “Three Non Blondes”), and directed by Ben Kellett for the finale episode. VICIOUS is a production of Brown Eyed Boy in association with PBS and Nickelby Inc.
To view a full list of nominees, click here.